As an experienced auto repair and towing team, we understand that you are looking for a reliable auto shop to properly restore your car to its proper condition, without adding stress to an already delicate situation. 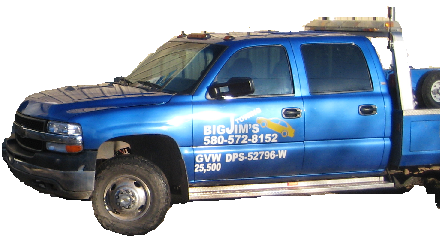 Big Jim's auto and towing offers many repairs to your automobile with certified technicians, who work with state-of-the-art equipment. We offer many services to support your automotive needs, using only the best products, equipment and materials to ensure your satisfaction. Please call us today to see how we can help you! Our team of highly trained individuals are dedicated to providing you with the highest degree of quality, workmanship and superior customer service. We are open Monday through Friday 8 am to 5 pm and on call 24 hours a day 7 days a week.